There are few desserts in my book more comforting than panna cotta. It’s smooth, creamy, and downright decadent. It’s also very simple to make unlike its creamy cousin crème brulee. No blowtorch needed. For this dessert I decided to add some herbal immune enhancing elements to make this dish give colds and flus a run for their money. You won’t even know that these powerful herbs are even in here! Let medicine be thy food right? So let’s give the underrated yet so delicious panna cotta some love shall we? 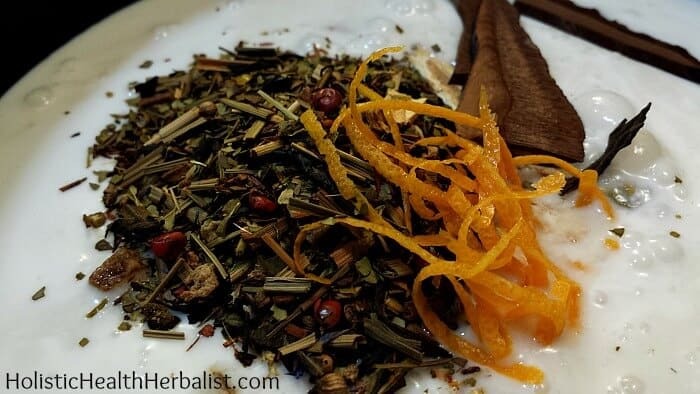 Chai tea is delicious all year long, but is especially delicious and useful during the winter as the herbs are warming, digestive, and uplifting. 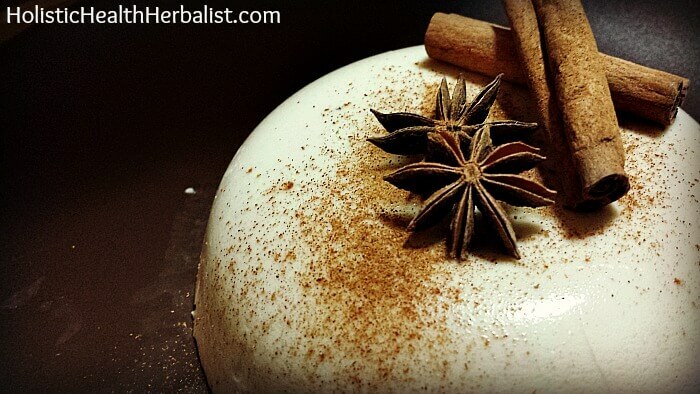 You can easily create your own delicious chai spice mixes like this one. If you twisted my arm, I’d tell you that astragalus might just be my favorite herb of all time. It’s sweet, energizing, digestive, and is wonderful to use against colds, flu, and difficulty breathing. Imagine astragalus like a protective shield that keeps you protected against sickness and helps build and restore your body to health. It is also very effective against adrenal fatigue and works well for those who feel completely run down. Often heralded as the elixir of life, reishi mushroom is known to combat degenerative disease and auto-immune disorders. It has the ability to protect and even regenerate liver tissue and can even regulate blood pressure, normalize cholesterol, and oxygenate the blood. I often pair reishi mushroom with astragalus for those who easily catch colds and flu to help boost their immunity. Besides being an essential ingredient for making panna cotta, gelatin has some pretty amazing health benefits.